I like to cook and eat natural, healthy, and tasty foods. I use minimum oil and don't use artificial colors and preservatives in my cooking. I agree that pressure cooker is not meant for making cakes. 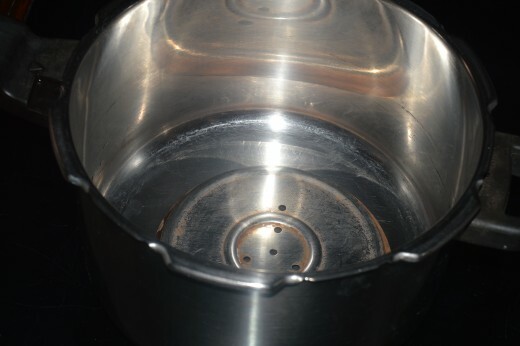 In the beginning, I was also conscious, whether cooker can stand so much heat, as we don't add water at the bottom, or it may even damage the pressure cooker. Certainly, avoid baking cakes often in the pressure cooker. If you make the cake rarely, say once or twice in a year, you may think of making it in the pressure cooker. It is worth to have an oven at home for those who make cakes frequently. 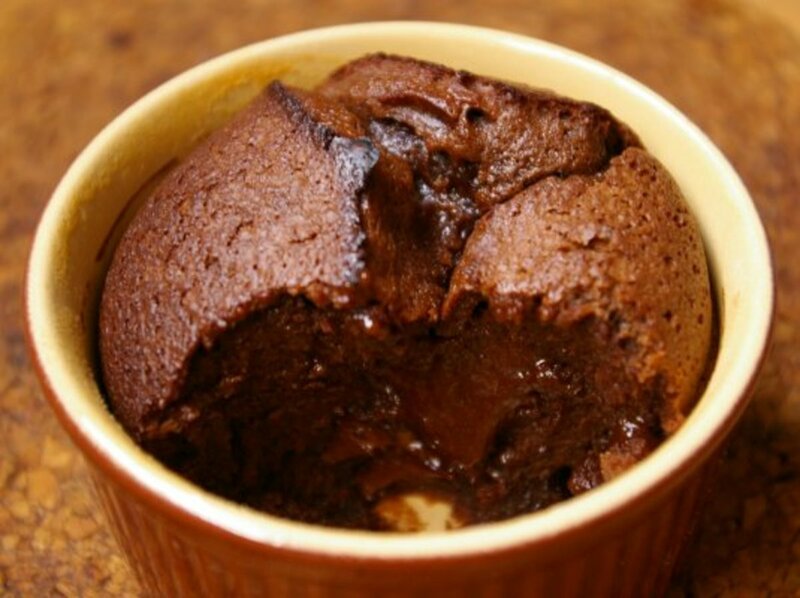 The cake I have made in the pressure cooker was moist and soft. Believe me, it was not less any way from the cake made in the oven. I have explained below the procedure to set the pressure cooker for making the cake. Yes! making cakes is certainly a pleasure. That too, if it turns out proper, you get immense satisfaction. When I was taking the cake tin out from the cooker, I was extra curious to see the texture of the cake. It came out perfect; very soft and awesome. 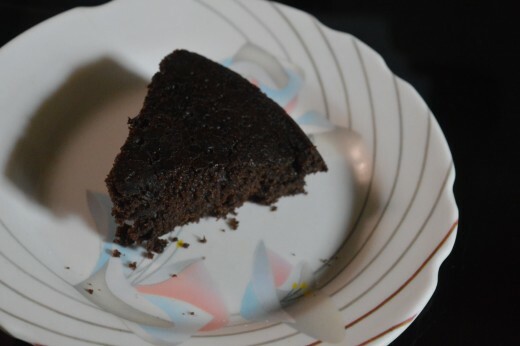 In spite of having a fully functional oven at home, I did this cake in a steel pressure cooker, with a curiosity to find out whether a cake can be baked in a pressure cooker. 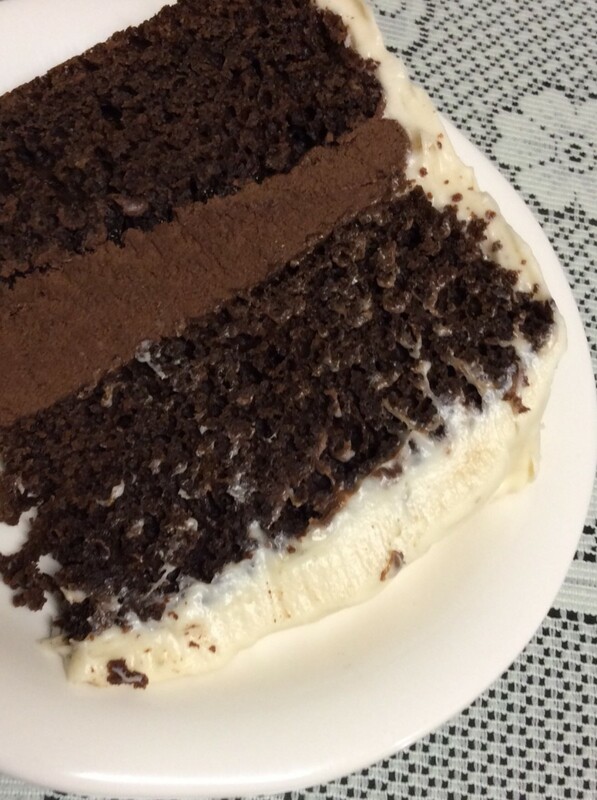 To my surprise, the cake turned out very spongy and moist, just like the cake made in the oven. Generously apply oil or butter to a cooker container of 8-9 inch diameter. Keep aside. Spread 1/2 Kg salt on the bottom of the pressure cooker. Cover it with a steel container/plate with holes. This is mainly to avoid burning the bottom. Remove the cooker weight and the rubber(gasket) inside the lid. Pre-heat the cooker on high flame for 5 minutes. 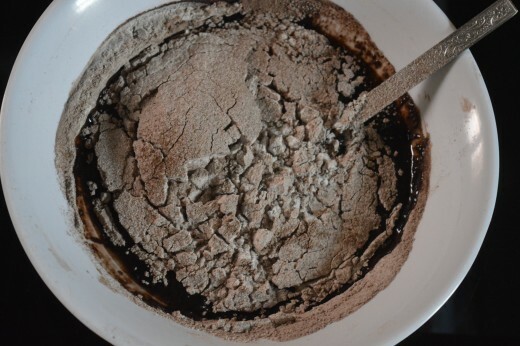 Take dry ingredients like all-purpose flour, cocoa powder, baking powder, and baking soda in a bowl. Sieve together to remove the impurities and also to get a uniform powder. Keep aside. 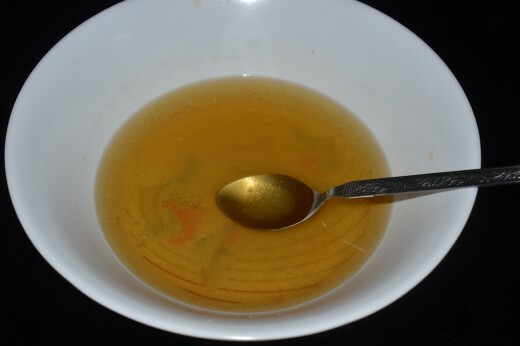 In another bowl, take luke-warm water, butter or oil, vanilla essence, and sugar. Mix till the sugar dissolves. Add liquid mix to the dry mix. Add milk. 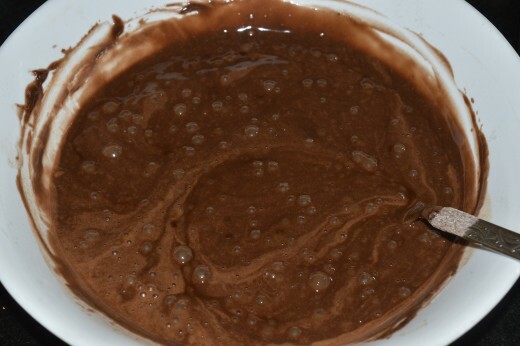 Gently combine the contents with the help of a hand mixer or with a spoon, to ensure there is no lump in it. This should take maximum one minute. Don't mix for a longer time; it might make the cake hard. Pour the mix into the greased container. Tap the container to get rid of air bubbles. Place it inside the pre-heated pressure cooker. Cover the lid. Heat on high fire for 5 minutes. Then, reduce the fire to a minimum for 40 minutes. Remember, gasket and cooker weight are not used while baking the cake. Take out the container. Insert a stick into the cake to check whether the cake is done. If the stick comes out clean, it indicates that cake is baked. Otherwise, continue baking for some more time. Cool it for 5 minutes. Release the sides with a knife, invert the cake onto a rack or plate. 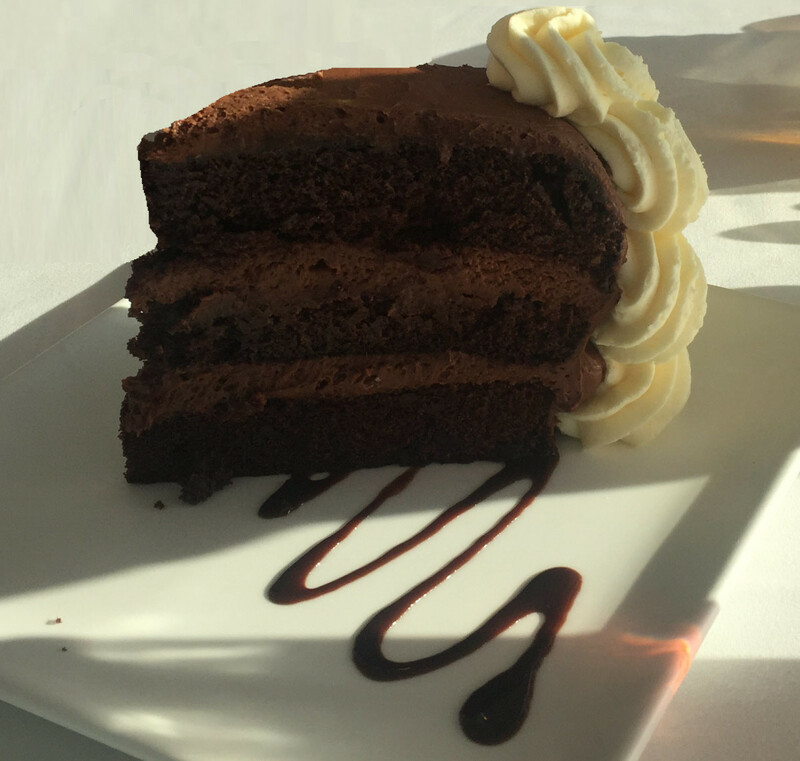 The super-soft chocolate cake is in front of you! Enjoy eating cake slices! 1. Use a bigger pressure cooker, say at least above 3-liter capacity. Use the proper size cake container. I used 5-liter Prestige steel cooker. 2. Do not use a non-stick pressure cooker. 3. Not to add water to the bottom; we are creating the oven-like environment. 4. 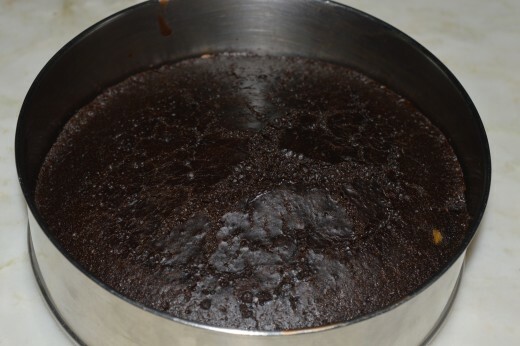 Using pressure cooker often for making cakes may damage the cooker handle or the safety valve on the lid, due to the high heat produced during baking. 5. 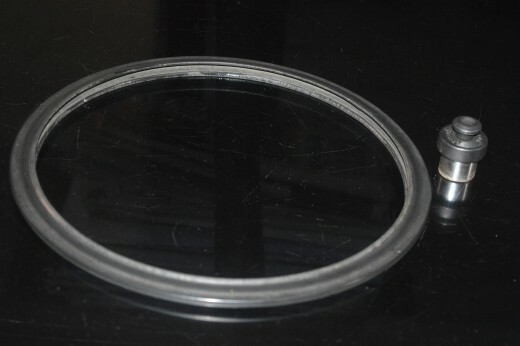 You can also place the cake container directly on the cooker plate without spreading salt at the bottom. However, spreading salt ensures the double protection of not burning the bottom. Avoid keeping the cake container directly at the bottom, as the heat spreads fast in the bottom part. 6. Insert a toothpick into the cake to check whether the cake is baked properly or not. If the toothpick comes out clean, it implies that it is done. If it comes out with raw mix sticking on it, it indicates that it is not fully baked. Bake it for some more time. 7. 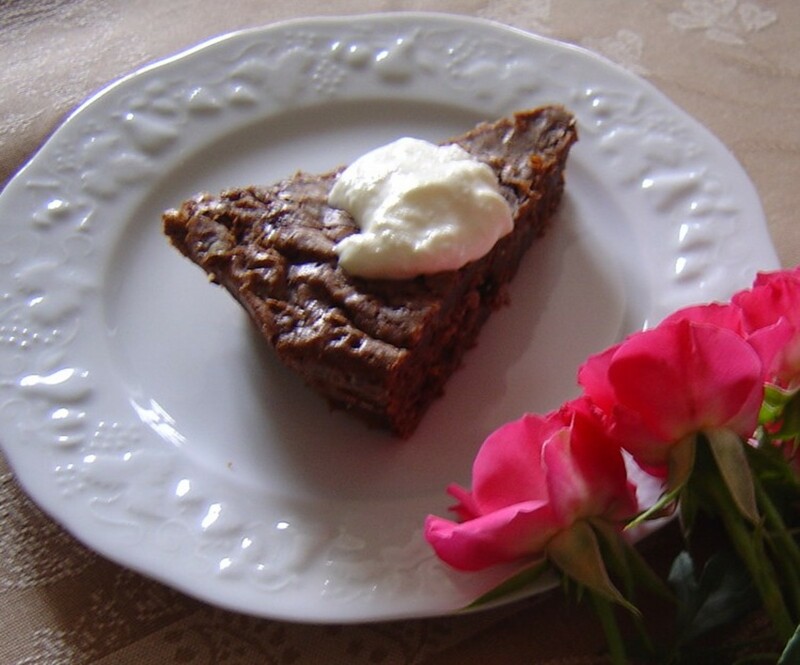 You can make a topping with icing or with fresh fruits and nuts for this cake. I used the cake just like that. It was simply delicious! Remove, rubber inside the lid(gasket) and cooker weight. The cooker plate with holes. 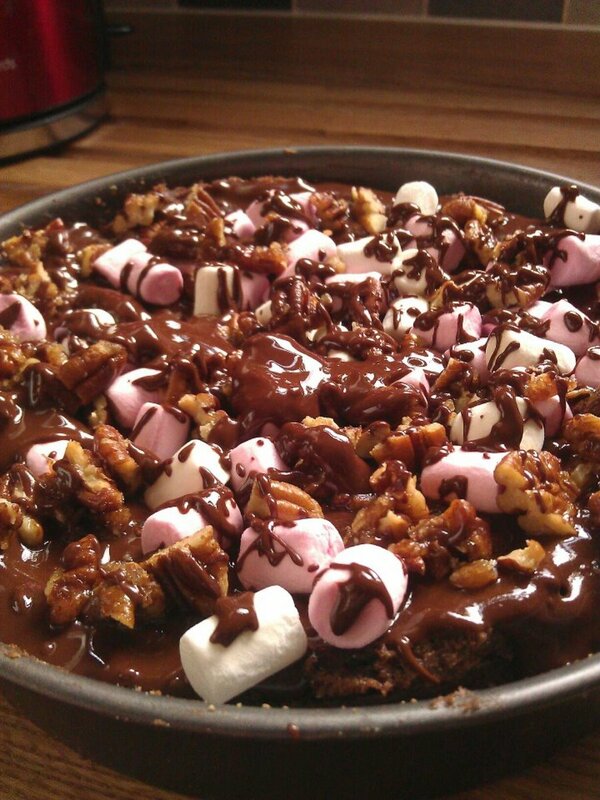 Place the baking tin on it. 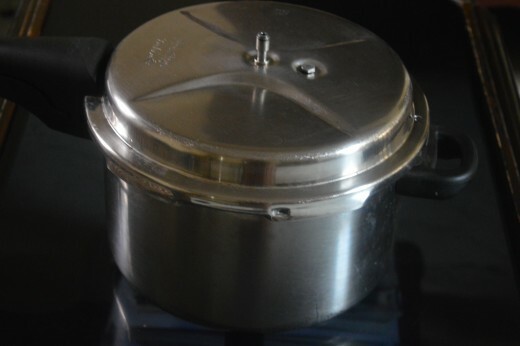 The pressure cooker while baking the cake. 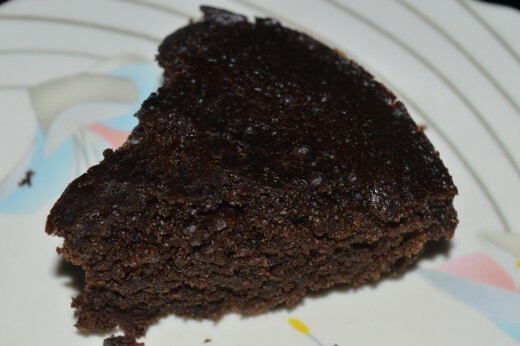 Eggless chocolate cake can also be made using an oven. All other procedures remain the same, except the cooking part. Preheat the oven at about 120-degree centigrade. Keep the baking tray with the cake mix inside the oven. Bake for about an hour at 150-degree centigrade. 1. The difference between cacao and cocoa: Cacao is the bean. Cocoa is the product that is made from it. 2. Cocoa trees need to be planted next to tall trees in order to protect them from direct sunlight. That is why you often see cocoa trees planted amongst mango and papaya trees. The soil influences the flavors of the cocoa beans. 3. It takes 3 to 5 years before the cocoa trees bear fruit. Each tree produces around 1,000 beans a year, but that is only enough to make 1 Kg of chocolate. So, next time, while saying fine chocolate is expensive, remember this! Thanks. I used a pressure cooker in the recipe. I don't know exactly whether you can use an electric rice cooker for making this cake. I will try to get some information on this. Superb! 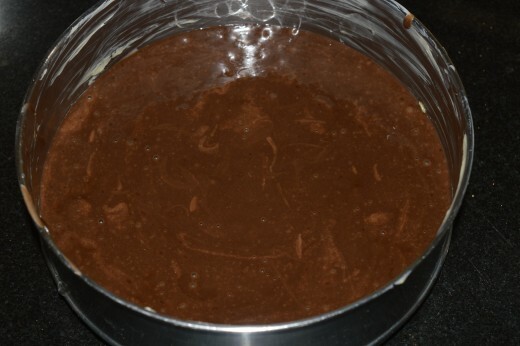 I love the look of your chocolate, looked like brownies, I have a pressure cooker but very seldom use it. Can I use the rice cooker instead?